The people at Javelin Technologies are always developing expertise in new products and processes that will be relevant and effective for the customers they have come to know so well. In the fall of 2018, a next-level virtual reality (VR) project began to develop, the result of an exciting and strategic collaboration. AMD, Advanced Micro Devices, has global operations spanning 23 countries. Their business is high-performance computing, graphics, and visualization technologies. In the CAD world, users rely on AMD Radeon™ Pro graphics cards. 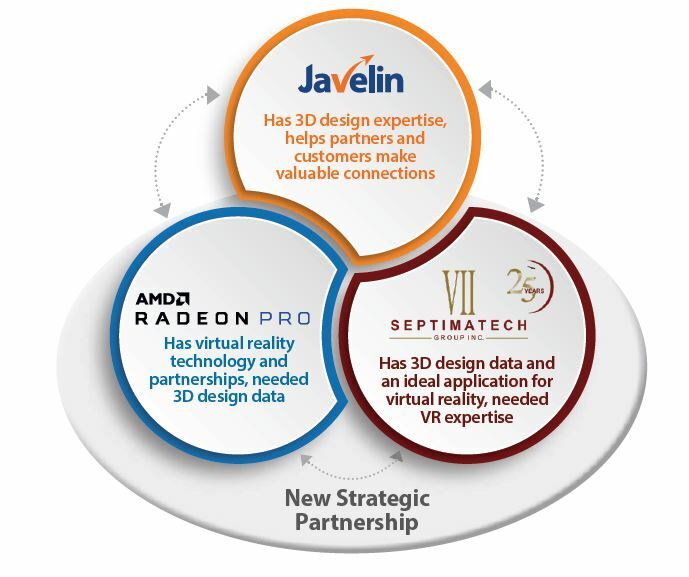 During discussions between AMD and Javelin about working together on a VR project, Javelin suggested using a real 3D design data set and immediately thought of bringing in Septimatech. Septimatech delivers intelligent packaging machine changeover solutions in industries such as personal care, food and beverage, household and industrial, and pharmaceutical. Their products and services improve machine productivity through optimized product handling and intelligent changeover solutions for customers’ packaging lines. This meeting of technology and minds resulted in a SOLIDWORKS VR experience that lets you feel like you’re standing on the production floor watching bottles being processed on the packaging line. Using Septimatech’s actual SOLIDWORKS data, the AMD team rapidly brought the line to life using Unreal Studio and the Datasmith CAD import toolkit. Both a single-user experience and a collaborative, multi-user experience were created. After donning your VR glasses, you can move in the space of the assembly, or use the remote trigger to teleport yourself to different places on the line. The assembly is not static; you see the bottles being transferred through the feed screws and rotating through the star wheels into the packaging machine. To see more detail, you can hide, move, or make transparent any component. You can also explode various sub-assemblies. Javelin will help you optimize your SOLIDWORKS data so you too can create an extraordinary VR experience. 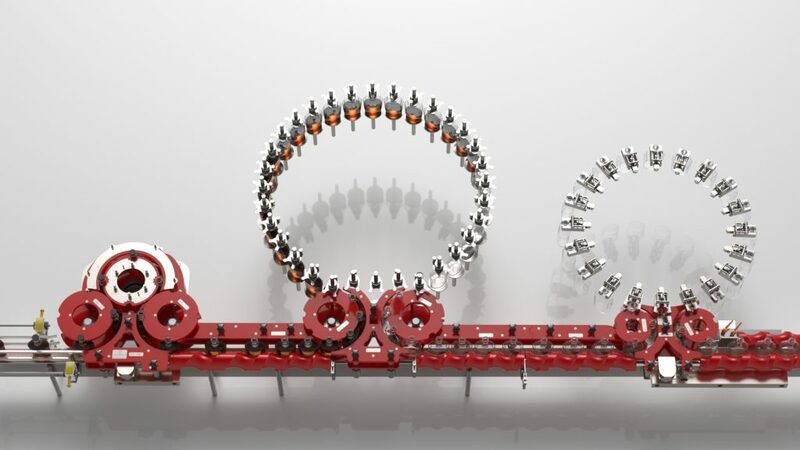 Have you upgraded to SOLIDWORKS 2019? The new graphics engine allows you to change your viewpoint or move a component on screen 20 to 30 times faster and generate graphics up to 30% faster than in SOLIDWORKS 2018. Contact us: we can ensure your SOLIDWORKS upgrade runs smoothly.